Few countries match the expropriatory model of revolutionary Cuba. Described by one scholar as the “largest uncompensated taking of American property by a foreign government in history,” the expropriations touched virtually every industry on the island. The nearly 6,000 claims filed in the United States were valued by the Foreign Claims Settlement Commission as of 1972 at US$1.9 billion. Even as the debates concerning restitution for the Twentieth Century expropriations continue almost two decades into the subsequent century, a new wave of U.S. investment has begun to flow into Cuba following President Barack Obama’s executive actions to encourage more commerce between the two countries. Though the Congressionally-enacted Embargo remains a serious barrier to investment and trade, and will likely remain so well into the near future, U.S. companies are increasingly present on the island to “lay the groundwork” for future investments. Before committing resources, however, U.S. investors increasingly are exploring the current legal regime and questioning whether their investments will be safe. As we explain below, Cuba’s investment protection framework is surprisingly robust, though there are serious questions about the de facto protections actually afforded to U.S. and other investors. Since 1992, the Cuban government has entered into sixty bilateral investment treaties with countries around the world. Of these treaties, more than two-thirds are in force. Cuba also features a newly implemented foreign investment law. Despite these reforms, incremental change remains the most likely scenario. The Cuban government remains concerned about the political consequences of investment from abroad and – perhaps true to form – seeks to maintain tight control over the flow of investment. On the other hand, as the authors have argued before, the prudent approach for foreign investors, particularly in light of the enduring concerns about the rule of law in Cuba, remains to build trust through continued and close scrutiny of the government’s treatment of investment in the coming years. In the months preceding President Obama’s announced policy changes, the Cuban government implemented its own significant reforms directed at promoting foreign investment and adopted the new Ley No. 118 de Inversión Extranjera. The Ley de Inversión’s liberalization of foreign investment has been recognized by numerous commentators. Most notably, the reform explicitly authorizes foreign investment in all sectors – subject to government approval – except education, healthcare and the military. Among the numerous changes implemented, the Ley de Inversiónalso cuts taxes imposed on foreign investment, explicitly permits wholly-owned foreign investments, recognizes intellectual property rights, and streamlines registration requirements. Foreign investments in the national territory shall not be expropriated, except for a public purpose or social interest previously declared by the Council of Ministers, in accordance with the Constitution of the Republic, international treaties signed by the Republic of Cuba on investment, and applicable legislation, with due compensation paid at the market value established by mutual agreement. The Ley de Inversión also incorporates the common, but expansive, full protection and security standard. In the event that the parties fail to reach an agreement on the market value, pricing shall be determined by an internationally recognized business valuation organization authorized by the Ministry of Finance and Prices and contracted for that purpose by agreement of the parties involved in the expropriation process. Some commentators have noted that the reform does not prohibit arbitration when otherwise authorized by an investment treaty, which we note below is actually a common feature of Cuba’s bilateral investment treaties. The significance of this absence is overstated, however, because such a provision would be unenforceable to the extent that it conflicts with a treaty obligation. This has not stopped other countries in the region (e.g., Ecuador) from taking domestic measures purporting to negate international treaty obligations. The Cuban government’s modest departure from the neo-Calvo actions and rhetoric of its ideological allies in the region is itself notable. Though notable, the Ley de Inversión is the most recent initiative in what has become a multi-decade effort to open Cuba to foreign investment. As noted above, Cuba has entered into sixty investment treaties since 1993, of which the vast majority are in force. Cuba’s first bilateral investment treaty, signed in 1993, was with Italy. It most recent bilateral investment treaties, signed in 2002, were with Uganda and San Marino (though neither has entered into force). Cuba’s treaty network, described by commentators are “geographically widespread,” is particularly well-developed in Europe and Latin America. European states with bilateral investment treaties in force include Italy, Russia, Spain, German, Greece, France, Portugal, the Netherlands, Switzerland and the United Kingdom. Similarly, in Latin America this list includes Argentina, Ecuador, Panama, Chile, Mexico, Guatemala, Paraguay and Venezuela. China has had a bilateral investment treaty in force with Cuba since 1996. 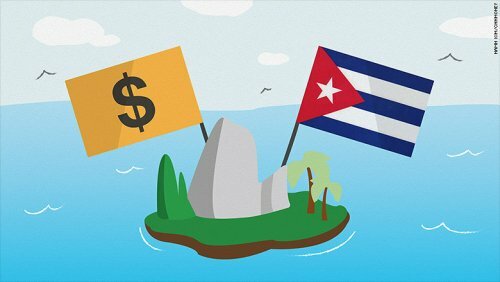 Cuba’s investment treaties, by and large, include many of the key investment protections common to bilateral investment treaties around the world. These include full protection and security, fair and equitable treatment, national treatment, most-favored nation treatment, umbrella clauses, and protections against expropriation. The UK-Cuba BIT, among the most expansive of Cuba’s bilateral investment treaties, includes all of these protections. Perhaps most significant, particularly in light of the Ley de Inversión’s restrictive dispute resolution regime, many of Cuba’s bilateral investment treaties include recourse to international arbitration. The most common methods of dispute resolution adopted by Cuba’s investment treaties include recourse to domestic courts where the investment was made, ICC arbitration, and ad hoc arbitration under the UNCITRAL rules. The options, however, are not uniform among Cuba’s bilateral investment treaties. Rather, they are available in varying permutations. For example, the UK-Cuba BIT permits investors, after an initial notification and conciliation period, to submit claims to either the ICC or ad hoc arbitration under the UNCITRAL Rules. On the other hand, the Lebanon-Cuba BIT permits recourse either to the domestic courts or ad hoc arbitration under the UNCITRAL Rules. Cuba’s bilateral investment treaties with Spain, Vietnam, Romania, Argentina, Greece, Slovakia, Barbados, Germany, Chile,the Netherlands, and Venezuela follow the same pattern. In some notable cases, including China, the bilateral investment treaties do not provide for any investor-state dispute resolution at all. Cuba is not a party to the ICSID Convention and recourse to ICSID is not available in nearly all of Cuba’s bilateral investment treaties. Even this general rule, however, is prone to exception as ICSID arbitration is expressly authorized as an option – along with ICC and ad hoc arbitration – in the Switzerland-Cuba BIT. While both the Mexico and Venezuela BITs include the possibility of ICSID arbitration, they explicitly require that both States be parties to the ICSID Convention. A notable exception from Cuba’s bilateral investment treaty network, of course, is the United States. A direct remedy is not available in the near term because bilateral investment treaties can take many years to negotiate and, subsequently, enter into force. The historically complex relationship between the U.S. and the continued presence of the Cuban Embargo add layers of complexity, which go far beyond the subject of this article. However, in the event that direct investment is eventually permitted, U.S. investors may be able to benefit from the existing treaty structure through structured investments. Among the States with existing bilateral investment treaties are several that are commonly employed in international investment structures, including the Netherlands and Panama. For example, to qualify as an investor under the Netherlands-Cuba BIT, a legal entity needs only to be “constituted under the law of that Contracting Party.” Notably, the Netherlands-Cuba BIT does not include a denial of benefits clause or other provision requiring domicile or other operations in the Netherlands. As a consequence, U.S. and other foreign investors operating in Cuba through Dutch subsidiaries could benefit from the investment protections of the Netherlands-Cuba BIT. (1) to set out more clearly the standard for compensation in potential expropriations of foreign investment; and (2) to give foreign investors the right to take disputes to international tribunals outside of the jurisdiction of the Cuban arbitration system in those instances in which the constitutive documents of a joint venture may not already provide this venue. To these should also be added the astonishing breadth of the protections provided by many of Cuba’s bilateral investment treaties. Despite Cuba’s extensive investment protection network and domestic reforms, significant doubts remain. This should not come as a surprise, given the history described above and the Cuban Government’s dubious commitment to the rule of law and human rights. One commentator recently observed that investors question “the Cuban government’s commitment to foreign investment, state control on the economic activities and on the operation of the enterprises and finally the inability of foreign investors to hire directly and to pay workers in convertible currency.”These concerns are not new and cannot be quickly or easily remedied. Despite the sea change in U.S. policy towards Cuba, little has changed with regard to the investor confidence in Cuba’s government and its willingness to protect and promote investment in practice. Confidence building remains a priority and this will occur as the Cuban government demonstrates that it takes its legal obligations to foreign investors seriously. While it appears that events are moving in a positive direction, investment will only begin to flow as many hope when the Cuban government’s conduct matches its intentions.